Do you know why successful people are able to produce extraordinary results in their lives? The answer is that they have developed healthy and productive habits that allow them to shine and create victories each morning, consistently, without fail. And you will discover the best morning routine you can adopt to live a successful life in this article. When it comes to producing great results, we just cannot get away from building the right habit. This is because the habit is what will determine the results we get in our lives. It is what we do each day that is the most important. What we do once in a while is not as crucial. Therefore, if you want to be productive and be successful, you must first adopt the right habits. And creating a morning routine is essential because what you do in the morning will affect your whole day. 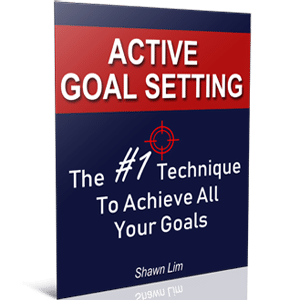 If you wake up and spend your morning doing unproductive things such as watching YouTube and viewing Facebook mindlessly, you will feel that your day will not be as productive as when you kick-start it the right way. Your morning is important because if you start it great, you will have all the energy and motivation to take massive action throughout the day. On the other hand, if you have a bad morning, what do you think will happen throughout the day? Most likely you will be having a bad day. This is why having a morning routine that works is important. Whenever you wake up, you have to drink a lot of water. This is what I did every morning upon waking up. After I brush my teeth, I will walk straight into my kitchen and drink plenty of water. So how much of water should you be drinking? Well, I don’t really take note on that, but research has shown that it will be ideal to drink 16oz or 500ml of water after you wake up. Have you ever had the experience whereby you go through your day without drinking any water, tea or coffee? How do you feel? Not good, right? You feel dehydrated. And this is exactly what is happening during your sleep. When you sleep, you are not taking in any water into your body. That makes you wake up dehydrated. This is why you need to drink a lot of water to hydrate your body functions. Apart from that, it is also said that drinking water upon waking up can cleanse your body as well. Water goes into your empty body able to boost your metabolism and clean away all the toxic within. If you want to learn more about how drinking water can make your day great, read this article. There’s no harm in trying to drink plenty of water in the morning. So you might just put this into your morning routine and start drinking water. Here’s a list extraordinary people who accomplished an amazing feat that exercises early in the morning. Anna Wintour, Editor-in-chief for Vogue, has a morning routine of playing tennis starts at 5.45am that last for about an hour. Michelle Obama said during an interview that she wakes up at 4.30am and exercise. She said she would feel depressed and won’t feel good if she did not exercise in the morning. Jennifer Aniston, the famous actor, wakes up early, does her spin-yoga for about half an hour, and then go to the gym to workout for an hour. Michelle Gass, the Chief-Customer-Officer at Kohl’s, wakes up at 4.30am and go for running every day, for 15 years. Dwayne ‘The Rock’ Johnson, one my favorite movie stars, wakes as early as 4am each day and exercise. He jogs, runs and hit the gym for a heavy workout every morning. This is how he built his muscle and he dedicated his success to his powerful morning routine. Steve Reinemund, former Chairman and CEO of Pepsi, does 4 miles run at 5am every morning. He will then pray, read the news and taking breakfast with his family. After going through the examples above, do I need to say more about exercising? Research has shown that there are so many benefits to it. For instance, exercise can make you healthy, it can make you happy, it can make you more discipline, it can make you more energetic, it can make your mind calm, etc, etc. So start to make it your routine to exercise from tomorrow onward. You do not have to spend an hour into exercise if you feel like you do not have the time. You can spend a minimum of 15 minutes and do a few sets of stretching will do. Check out YouTube for some of the exercises you can follow. Some may include jumping, push-ups, plank, etc. Do you want to know the secret to being more productive? It is to plan forward and know what you need to do. Most people are not productive because they go through their life without knowing what to do. They follow the crowd and they do what their boss tells them to. Instead of being proactive, they are reactive to whatever that comes to them. When you review your goals, it gives you clarity and creates the intention in your life. Your goals tell you what you want and what you need to do each day. And when you plan, you know what are the works you need to get done by what time. You are more practice because you know and are ready for the task. Instead of wasting your free time surfing Facebook, you would spend your free time doing more productive tasks and moving one step closer toward your dreams. This is why it is so important to constantly review your goals and planning for your days, your weeks, your months and your years. Successful people always think about what they want all the time. By reviewing your goals and planning for them, you are creating the thoughts within your mind consciously. So are you ready to make this your morning routine? Meditation is another powerful method to kick-start your great day. If you want to go far, you must have a clear mind. And meditation can help you with that. We need food to nourish our body, and meditation is required to nourish our mental health. Meditation has been proven to lower your stress and improves your optimism. Not only that, it boosts your concentration and increases your creative thinking skills. Want to learn more about meditation? Read out this 76 scientific benefits of meditation. I read a lot of books and I still do even today. On average I read about 2to 3 books a month. And that does not include the PDFs or articles I read online. Every time I read, it makes me feel motivated and wanted to do more. Reading and learning gives me hope and telling me that I can do it. More importantly, I believe that reading makes me a better writer and it improves my ability to focus on my task. What about you? Do you read? And what books have you read? If you want to know my recommended personal development books, you can check out my previous article. There are so many benefits to reading. Of course, not all books are written the same. Some books will make you feel powerful and motivated. While some books will make you feel sleepy after you read it. So choose the one that can connect with you the most. And remember that at different times of your life, reading the same books may give you different ideas. It happened to me a lot. This is why I read the same book at least a few times. Sometimes I would reread the book after a few years, and I can still feel good about it. You cannot kick-start a great day without having a healthy breakfast. Having breakfast each morning before you start your work is the best morning routine one can ever have. Can you imagine going through your hectic day without eating anything in the morning? How would you feel? I can’t stress how important it is to eat healthily. Most people know that it is important to eat breakfast in the morning, but what they did wrong is that they take junk food as their breakfast. If you are serious about adopting a productive morning ritual, you must take this seriously. Go for healthy breakfast and see how it can affect your energy level. One of the most powerful things you can do in the morning is to create your first win. No matter how big or how small it is, you just need to create your first win. The purpose is simple, when you create your first win, it encourages you to go on and create more winnings. It gives you confidence and boosts your pride. You will get yourself into the winning cycle and keep doing other great things throughout the day. Watch the short video above. It will change how you think about making your bed and creating your first win in the morning. Of course, winning is not all about making the bed, but it is about making your life works, one at a time. When you promised yourself that you are going to wake up at 5am and exercise, and if you did it, you will feel great, you will feel proud, you will feel accomplished, you will feel satisfied and you will want to do more great things. The same principle applies when it comes to making your bed. And if you say that you are going to review your goals and do your first task before 8am, and if you did it, you will kick-start your morning with great accomplishment. You have to keep your word and do what you have decided to do. The more you do what you say you will do, the happier and confident you will be. And that leads to developing more self-discipline in you. The more self-discipline you are, the more tasks you are going to complete. The more tasks you complete, the more goals you are going to achieve. The more goals you achieve, the likely you are going to live your dreams. And it all starts with a simple and easy win in the morning. Can you see how powerful developing a morning routine is going to be right now? What you do in the morning can affect your whole day. Having a small, simple and positive thought in the morning can change your day. So go ahead and create your first win in the morning. Make it your ritual and make it your best morning routine. Imagine how great it is going to be if you can create one small victory in the morning, and that leads you into more and bigger victories throughout your day. The morning ritual is extremely important and you must not underestimate its power. It is either you make a great morning routine or let the life controls you. If you read until this point, it simply shows that you are committed to making your life work. And so just go ahead and plan your best morning ritual. Take a pen and write down what you will do each morning. And when tomorrow comes, just do it. ←Can Anyone Be Successful And Achieve What They Want In Life? Hi Laurie, yeah, it was very difficult and challenging to get up the morning and feel energetic, especially in the early stage. I’m able to wake up early, but I feel very sleepy. I guess my body wasn’t used to it. However, after a few weeks gone, I started to feel superb early in the morning. Right now my most productive hours are in the morning. Great article post indeed. I always wake up at 4:00 am. I drink 2 glasses of water and after that I go for a walk. I also give 30 minutes to meditation. All these things keep my health fit. Thanks for sharing useful tips with people like me.